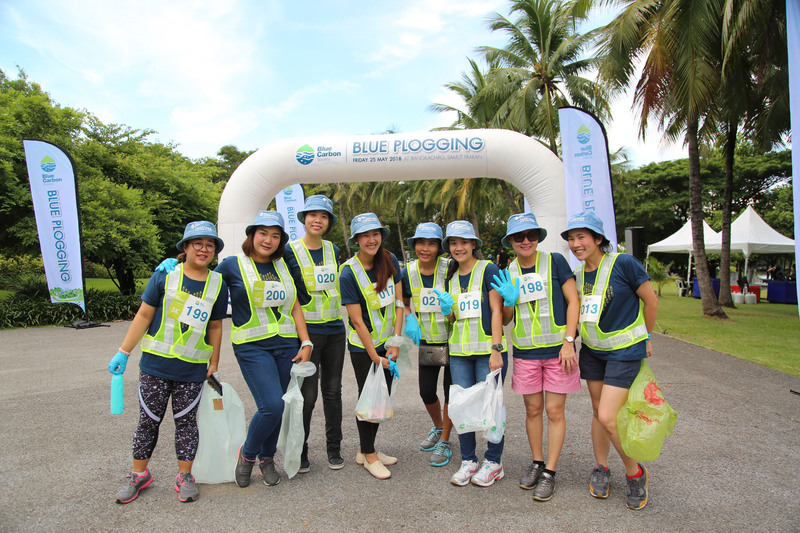 Blue Carbon Society (BCS) gathered 300 nature lovers for a ‘plogging’ litter pickup at Bang Kachao, an artificial island on the Chao Phraya known as Bangkok’s ‘green lung’ for its dense mangroves and rich wildlife. 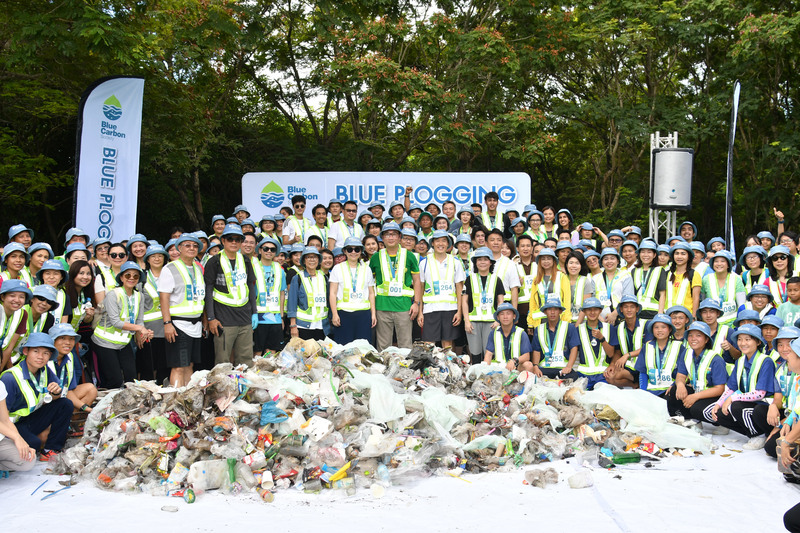 The ‘Blue Plogging’ cleanup took inspiration from the ‘plogging’ eco-friendly fitness trend invented in Sweden in 2016. 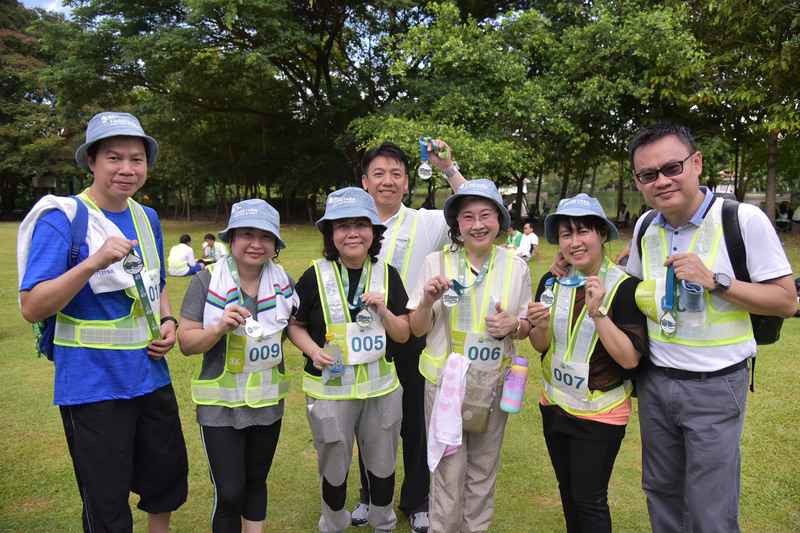 The word fuses ‘jogging’ with the Swedish term plocka upp, meaning ‘to pick up’, and involves running while collecting litter. Bang Nam Phueng floating market has driven a surge in Bang Kachao’s litter, with plastic bags making up 40%, according to a recent study by Bang Kachao Sub-district Administrative Organization. 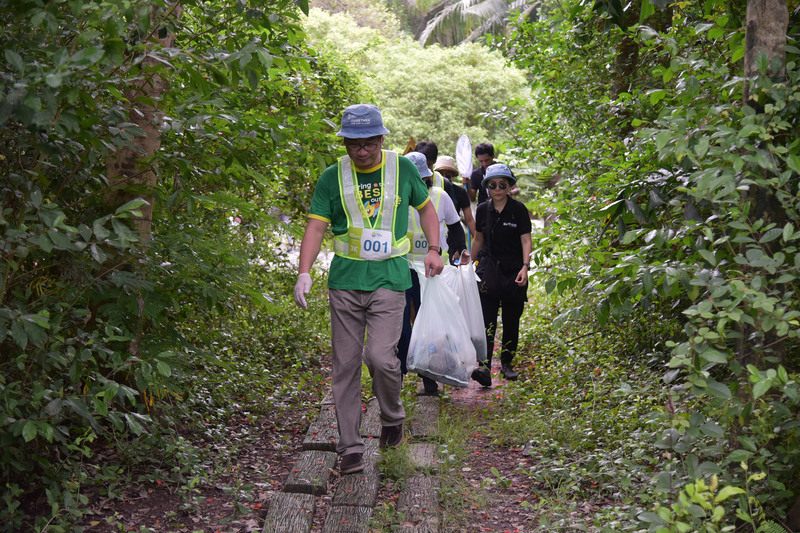 Dr Jwanwat Ahriyavraromp, co-founder of BCS, said the cleanup was also about saving the seas, where discarded plastic often ends up. In the waters around Thailand, plastic waste kills at least 300 marine animals each year. “Our mission includes promoting the capacity of marine and coastal ecosystems as a carbon storehouse and conserving the biological diversity of marine and coastal ecosystems,” he said. 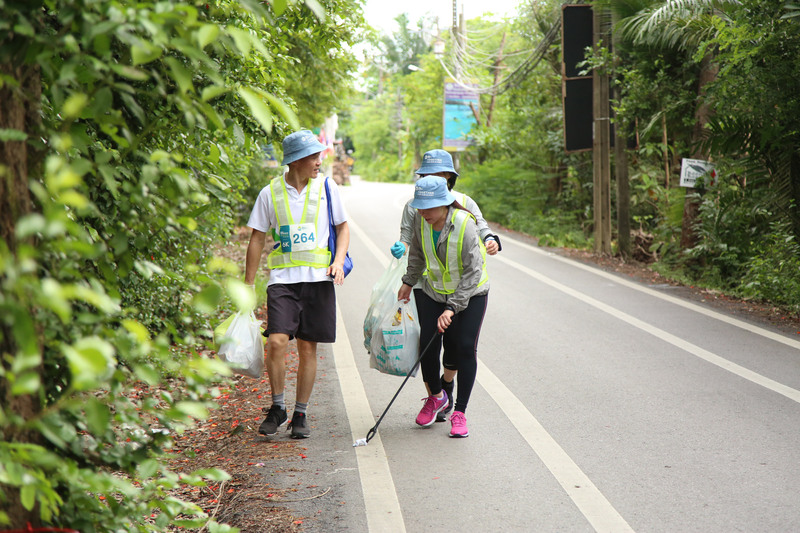 “Imagine that one person can collect 2 kg of trash in half a day and that 60 million Thais rolled up their sleeves and started plogging together, then 120 million kg of trash would be eliminated. This could be a great force to help protect the seas." 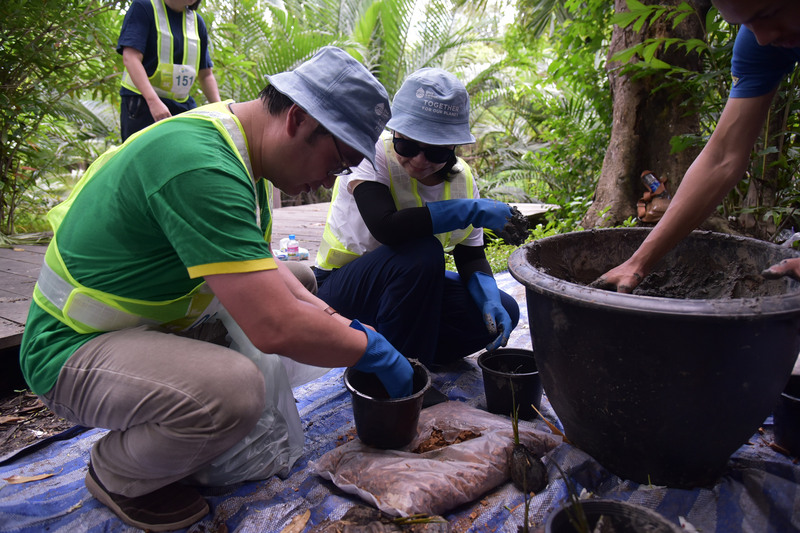 Mrs Thippaporn Ahriyavraromp, BCS’s other co-founder, said the activity could help endangered species such as sea turtles, dugongs, dolphins, and horseshoe crabs. 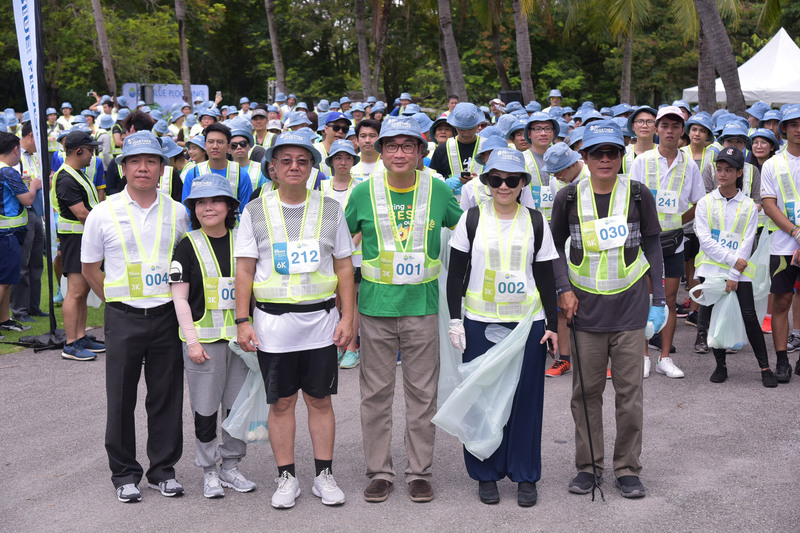 Rescuing these marine creatures from plastic debris ensures the balance of marine ecosystems and their function as a ‘blue carbon’ sink, she said.